Paul Beard is an environmental and land-use attorney who co-leads Alston & Bird’s Environmental Appellate Litigation Team and its Coastal Land Use Team. He brings significant appellate litigation experience, including in the U.S. Supreme Court, to his role as counsel. In 2013, he argued Koontz v. St. Johns River Water Management District, a landmark Supreme Court case concerning a Florida agency’s attempt to exact money from a developer as a condition of approving wetland permits. The decision establishes that monetary exactions imposed in the permit process are subject to heightened constitutional scrutiny. 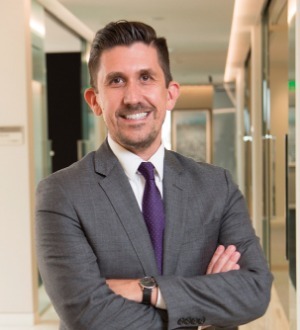 Paul focuses his practice on permitting and litigation issues arising under the Endangered Species Act, Clean Water Act, California Environmental Quality Act (CEQA) and California Coastal Act, among other statutes. He also counsels project proponents on their statutory and constitutional rights in the permit process and assists them in creating the best administrative record when litigation ensues. He represents a range of clients, including agricultural interests, developers and industry associations, in state and federal courts across the country. Before joining Alston & Bird, Paul was a principal attorney at Pacific Legal Foundation (PLF), the nation’s premier public interest organization committed to litigating precedent-setting cases that limit the jurisdiction and powers of environmental agencies and regulators. For years, he led PLF’s Coastal Land Rights Project, overseeing litigation against state and local agencies.